Or view larger version. 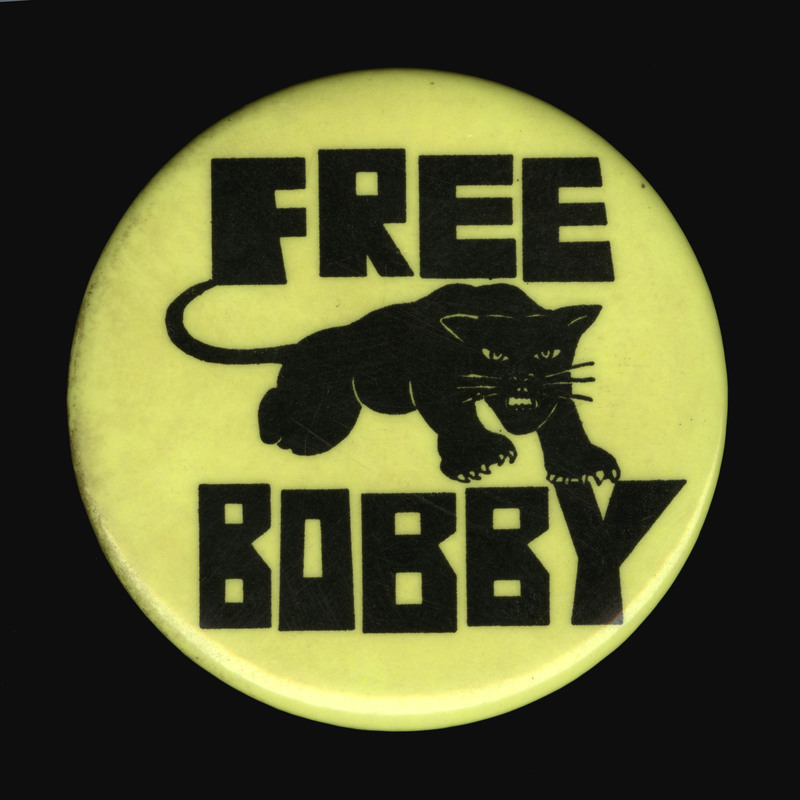 Button with words “Free Bobby” and a graphic design of a black panther. ca. 1969. Unknown photographer. Political button. Collection of Oakland Museum of California. This is a photograph of a political button that says, ‘Free Bobby’, with a design of a black panther on the button. This button refers to Bobby Seale, the chairman of the Black Panther Party. In 1969 Seale was indicted in Chicago for conspiracy to incite riots. He was convicted, and sentenced to four years in prison, which was later reversed.